A horse costume is a fun costume for children or adults to wear. Children will enjoy wearing the horse costume during playtime, while adults can put it on for a costume party. In a box horse costume, the person wearing the costume stands inside the box, so that it appears as if the person is riding the horse. Some people add fake horse legs around the box to make the costume look more authentic. This project will take about one day to make. 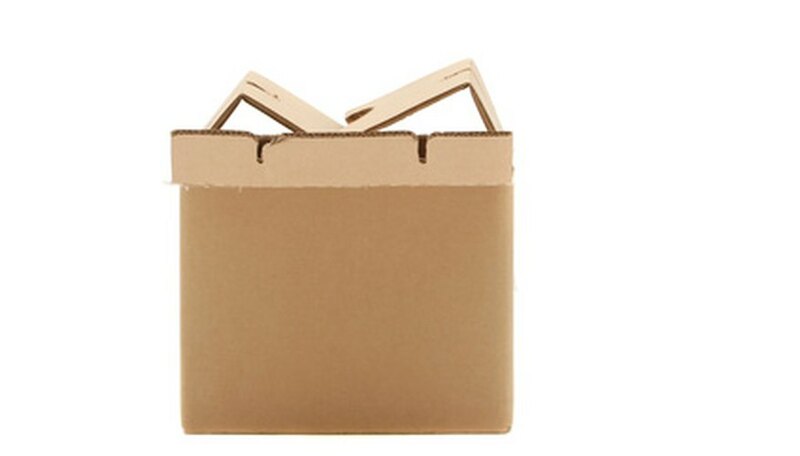 Cut the top and bottom flaps off of the cardboard box, leaving the sides intact. Draw the outline of a horse’s head onto one of the flap pieces. Hold two flaps of the same size together, and cut the head outline out. This will give you two head pieces. Draw out a tail design and again, placing two pieces of cardboard together, cut out the two tail pieces as well. Decorate the box, head and tail pieces as desired. Acrylic paint works well on cardboard, as does marker. Allow the pieces to dry for 2 hours. Cut two pieces of ribbon long enough to fit from one corner of the box to the opposite corner. Make the strands long enough to stretch over your shoulders, or the shoulders of the person for whom you are making the costume. The ribbons should reach from one corner of the box, over the wearer's shoulder and to the opposite corner. The box should sit just above waist height. Staple the ribbons to diagonal corners, so that they cross in the middle of the box. Glue the two head and tail pieces together. You can add wooden dowels lengthwise between the pieces, if desired, to make the head and tail three dimensional. Simply cut out two holes the same diameter as the dowel in the same spot on both pieces of cardboard and glue the dowels into the holes with hot glue. Glue the head and tail pieces to the front and back of the box with fast-drying glue. You can also use hot glue to hold the pieces in place. Allow the glue to dry for at least 1 hour before using the costume.